Kate Middleton is delighted that Prince Charles and Camilla Parker-Bowles are denied access to Prince George by her mom, Carole Middleton according to reports. Prince Charles was always very excited to be a grandfather, and he showed more visible excitement for Prince George’s birth than perhaps any other major event in his life [cough, including his wedding to Princess Diana, cough]. However, it’s since been more than two years since George’s birth, and reports suggest that Charles has played a very peripheral role in his grandson’s life, and Camilla Parker-Bowles has played almost none. Well, Carole Middleton might be behaving like ‘Queen Carole’, but that’s because Prince William and Kate Middleton give her the leeway to do that. We’ve always known that they want to keep Prince George away from the royal side of the family, and try to raise him with some semblance of normalcy – hence, the move to Anmer Hall. Of course, that means that George will be spending a lot more time with the Middletons growing up, and much less time with Prince Charles and Camilla Parker-Bowles. For one thing, Kate Middleton and Camilla are not the biggest fans of each other, and for another, Prince William doesn’t have a strong enough bond with his father to choose spending time with him over Kate’s family – especially when they are trying their best to keep George normal and happy. What do you guys think about Prince Charles being cut out of Prince George’s life? Do you think he’ll end up taking it out on the Middletons, or will he try to force them into letting him spend more time with George? 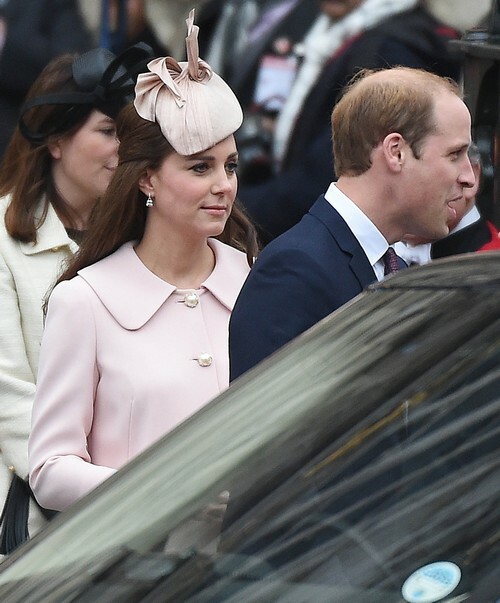 Should Kate Middleton swallow her pride and let Camilla Parker-Bowles into her family circle? Let us know your thoughts in the comments below. Kate Middleton and Prince William Continue to Exclude Camilla Parker-Bowles and Prince Charles From George’s Life – First Official Baby Photos Prove It!